Product prices and availability are accurate as of 2019-04-21 07:26:39 EDT and are subject to change. Any price and availability information displayed on http://www.amazon.com/ at the time of purchase will apply to the purchase of this product. A revolutionary scientific explanation of psychic phenomena and the nature of human consciousness. Although much is now known about the brain, relatively little has been determined about where consciousness comes from: What is the source of the "I" in our internal monologue? How does something as nonmaterial as consciousness arise from something material like the brain? 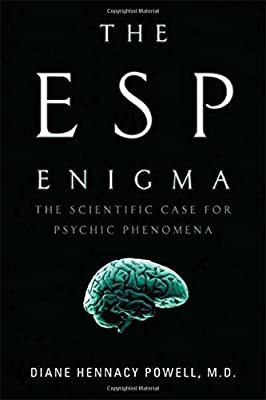 Dr. Diane Powell, a Johns Hopkins–trained neuroscientist, has brilliantly reassessed the meaning and nature of consciousness by exploring research on the workings of psychic phenomena.